Christmas Sleigh Ride For The Mansion Residents! Sleigh Ride For The Mansion Residents. Red and Helen. We have just concluded negotiations and arrangements and planning for the first-ever Christmas Sleigh Ride for the Mansion residents, we found a farmer in Vermont with a horse-drawn sleigh on wheels who will take 15 Mansion residents for a two-hour sleigh ride around our town. This will cost $300, courtesy of the Army Of Good, and there was much talk of safety and access. The farmer has special stairs that the residents can walk on and rails to keep anyone from falling or leaning out. His wife will be driving and will be extra slow and careful. Julie Smith, the Mansion Activity Director, and I, have had long talks about this. It’s all worked out, and there will be plenty of staff on hand to help. I think Red and I will come along, there is pressure for us to come. If the weather is awful, we’ll move the date back, it’s currently scheduled for the 15th. The residents are very excited, a sleigh ride was the outing that drew the most interest and excitement next to another boat ride. The Mansion has five or six beautiful acres of it’s own for the ride, but I think the residents hope to ride through town. Thanks for your donations, which made this outing possible. It is so important for them to get out and into the world, they love it and will be excited for days. The Christmas gifts and decorations are pouring in, and thank you so much. This is going to be a wild Christmas there for everyone. 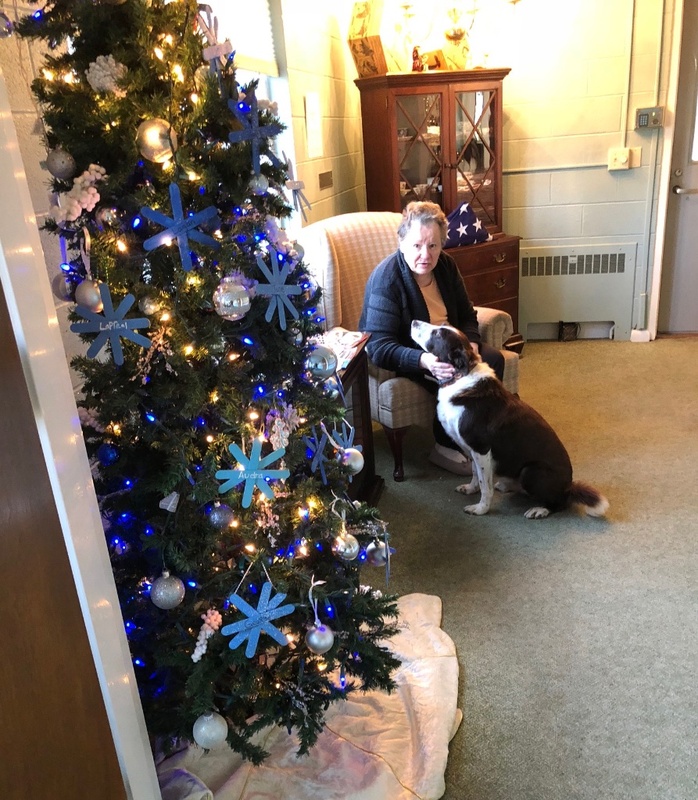 Above, Red spends some time with Helen, a shy resident who is opening up to him and to me. Helen loves to sit by the tree. If you wish, you can write her c/o Helen. The Mansion, 11 S Union Avenue, Cambridge, N.Y., 12816.